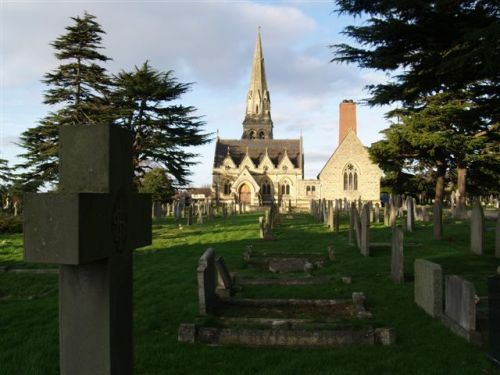 We will meet at the Ukrainian memorial in Cheltenham Cemetery today Saturday 23 March at 5pm to say an Akathist for Departed Souls (in English and Church Slavonic). Address: Bouncers Lane, Prestbury, Cheltenham, GL52 5LT. The tradition of the Church to commemorate the departed precisely on Saturdays is related to the fact that the Sabbath is “the day of rest,” a symbol of repose from a vain life, being in God, who “rested from his work” on the seventh day. 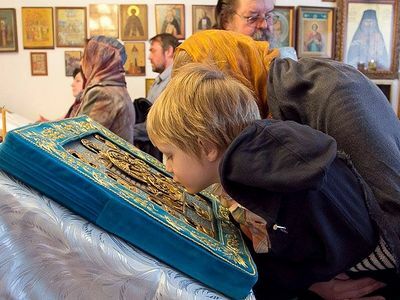 Check out details of the Kursk Root icon visit to out Diocese: Tuesday 26th March - Sunday 1st April 2019. Nearest parishes are: Oxford, Cardiff and London. 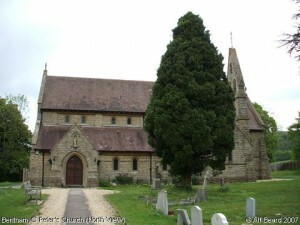 See Diocesan website rocor.org.uk for dates, times and locations. 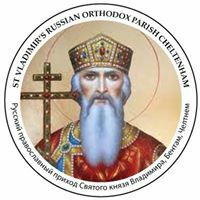 Dear brothers and sisters: members of the Cheltenham parish of the Russsian Orthodox Church Outside of Russia! 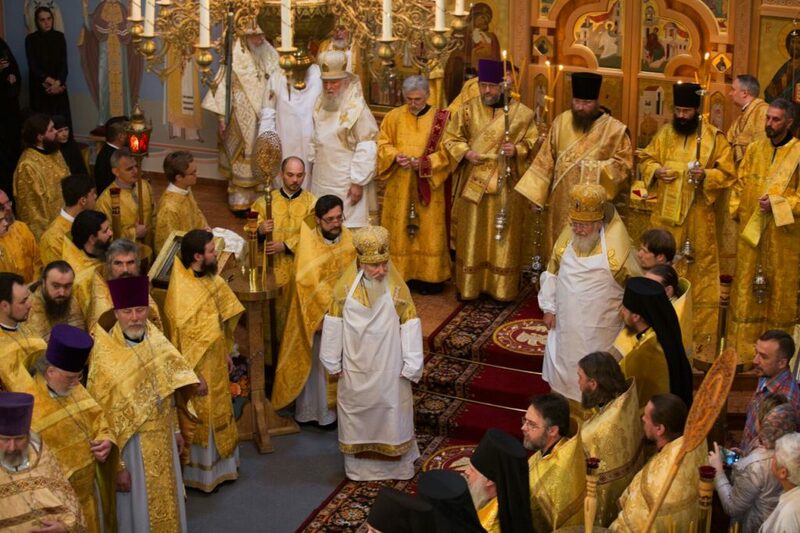 By now, you will all be aware of the course of events following the uncanonical action of the Constantinople Patriarchate within the canonical territory of the Ukrainian Orthodox Church. 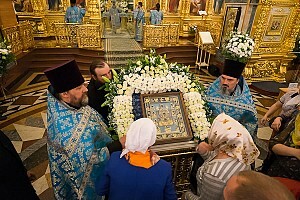 The cessation of communion between our Mother Church of the Moscow Patriarchate and the Phanar was sadly unavoidable, given the actions of Patriarch Bartholomew in invading the canonical territory of a sister Church and entering into communion with schismatics who follow a leader under anathema and who are allied to violent ultra-right-wing nationalists with a programme of hate and intolerance. Needless to say, the 'lifting' of the anathema pronounced upon Filaret Denisenko is invalid. He remains an excommunicated layman, outside the Church of Christ, and he and his followers are without grace. Constantinople's communion with these graceless schismatics places it in an uncanonical position itself. The first obvious effect is that we now need to find another place of worship. 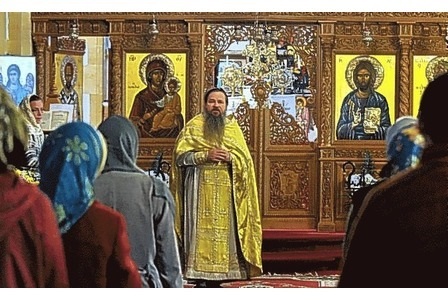 Liturgy within a temple of the Constantinople Patriarchate is obviously no longer possible. In the short term we may need to be creative, possibly combining Liturgy with pilgrimages to holy places near to Cheltenham and Gloucester. This is a matter for discussion. Alternatively, we may look for a temporary home. Ideas and suggestions will be most welcome. 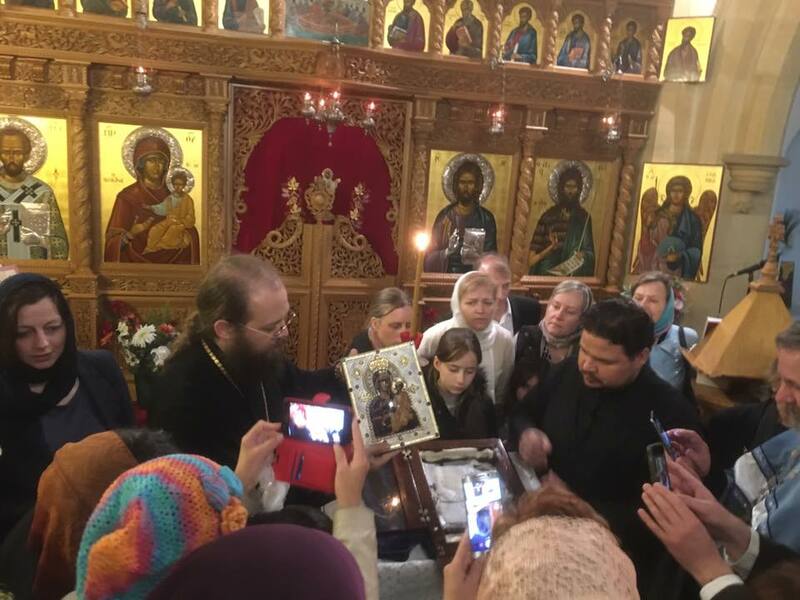 The cessation of communion also makes it impossible for members of the Russian Orthodox Church to partake of the Holy Mysteries in the churches of the Greek Archdiocese of Thyateria in Great Britain. However, it is still possible to attend services, even though communion is not possible currently. With Russian Orthodox parishes in Bristol and Oxford close by, those able to travel are provided for. However, I would also remind you that when possible, you should try to support the nearest parish of your own diocese, in Cardiff. This is a sad time, but we must not despair. 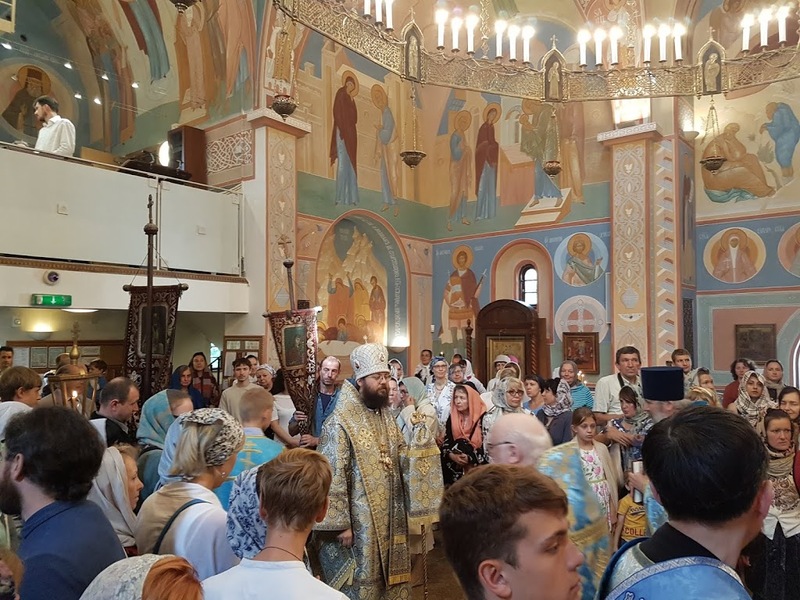 Rather, we must increase our prayer: for His Beatitude Metropolitan Onuphry and the Ukrainian Orthodox Church, and for the leaders of the Orthodox Church throughout the world, that in brotherhood and love a solution may be found. The devil wants us to despair, to lose hope and to give up. As children of the resurrection this is not possible for us. Our faith is one of hope, shining with the light of Christ. Our faith is founded on love, not simply for our own people, but for all: even those that persecute the Church. Our faith is built on and sustained by prayer, often more heartfelt and powerful in times of trial. Let us reach out in faith, hope, and love, fervent in prayer, and trusting in Christ. Let us not fall prey to the propaganda that paints this as a Russo-Ukrainian-Greek problem. It is NOT. This is a canonical Orthodox problem that affects the whole Orthodox world. 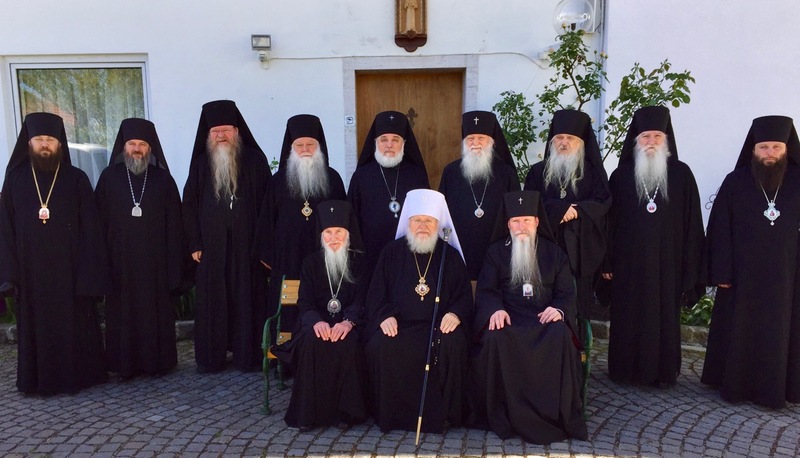 Orthodox archpastors of the other Greek Patriarchates are showing love and friendship and speaking words of temperance and wisdom. Remember them in your prayers. As we guard our mouths, take care in what we write, text and email, keeping silence when circumstance demands, may God guard us and guide us. Let us struggle to preserve peace in our hearts and minds. 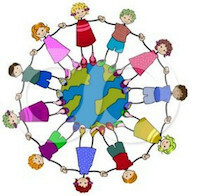 Unless we can do this, how can we hope for peace in the world? Дорогие братия и сёстры, прихожане Челтнэмского прихода Русской Православной Церкви Заграницей! К этому времени вам уже известно о развитии событий в следствии неканонического действия Константинопольского Патриархата на канонической территории Украинской Православной Церкви. Как это не прискорбно, но разрыва в евхаристическом общении между нашей Матерью Церковью Московского Патриархата и Фанаром (Константинопольским Патриархатом) избежать не удалось из-за с осуществляемых Константинопольским Патриархом Варфоломеем вторжением на каноническую территорию сестры-Цервки и вхождением в евхаристическое общение с раскольниками, лидер которых находится под анафемой, и чьим союзникам из ультра-правого националистического крыла не чужды насилие, ненависть и нетерпимость. Само собой разумеется, что объявленное Патриархом Варфоломеем “снятие” анафемы с Филарета Денисенко является недействительным. Он остаётся отлучённым от Церкви Христовой мирянином, и он сам и его последователи лишены Благодати. Вхождение в евхаристическое общение с этими безблагодатными раскольниками ставит и сам Констанинопольский Патриархат в неканоническую позицию. Первое и очевидное это то, что нам нужно найти другое место для богослужений. Служить Литургию в храме Констанинопольского Патриархата становится более невозможным. На самое ближайшее время нам возможно понадобится проявить творческий подход, совмещая Литургию с паломничеством к святым местам вблизи Челтнама и Глустера. Конечно, это является предметом для общего обсуждения. В качестве альтернативы мы могли бы поискать и временное пристанище. Все мысли и предложения приветствуются! Разрыв евхаристического общения также делает невозможным для членов Русской Православной Церкви причащаться Святых Таинств в церквях Греческой Архиепископии Великобритании. Посещение богослужений по-прежнему возможно несмотря на невозможность на данное время причащаться в них Святых Таинств. Для тех, кто может добраться до находящихся неподалёку приходов Русской Православной Церкви в Бристоле и Оксфорде, одно решение тем самым уже найдено. Однако, мне хотелось бы напомнить, чтобы вы по возможности также постарались поддержать и ближайший приход нашей епархии (Русской Зарубежной Церкви) в Кардифе. Это грустное время, но мы не должны отчаиваться. Наоборот, мы должны усилить нашу молитву, особенно за Его Блаженство Митрополита Онуфрия и Украинскую Православную Церковь и за предстоятелей всех поместных Православных Церквей по всему миру, чтобы в духе братской любви обрести решение. Лукавый желает, чтобы мы отчаивались, теряли надежду и отступали. Но, как для чад воскресения, для нас это невозможно. Наша вера – это вера надежды, сияющая светом Христовым. Наша вера основана на любви, не только к нашим близким, но ко всем, даже к тем, кто преследует Церковь. Наша вера построена на молитве, на молитве же она и зиждется, молитва же эта во времена испытаний нередко становится более горячей и сильной. Давайте же проявим веру, надежду любовь, усердную молитву и упование на Христа. Давайте не поддаваться пропаганде, пытающейся представить всё происходящее как Русско-Украинско-Греческую проблему, ибо это таковой НЕ ЯВЛЯЕТСЯ. Это проблема Православных канонов, прямым образом затрагивающая весь Православный мир. Православные архипастыри других Греческих Патриархатов проявляют к нам свою любовь и дружбу, и в их словах звучат умеренность и мудрость. Поминайте и их в своих молитвах. Храня наши уста, проявим особую бдительность в том, что мы пишем, в письмах ли или смс или по электронной почте, прибегая к молчанию, если потребует ситуация. Да хранит нас и направляет Господь. Постараемся сохранить мир в наших сердцах и умах. Ведь как иначе мы можем надеяться на мир во всём мире? However, for your diaries: the All Night Vigil of the Consecration begins at 5.30 p.m.on Thursday 20th September. Then the next morning the Rite of Consecration will begin with the greeting of the Metropolitan at 9.00 a.m. and is expected to start formally at about 9.30 a.m. The Hierarchal Divine Liturgy will begin at approximately 10.30 a.m. 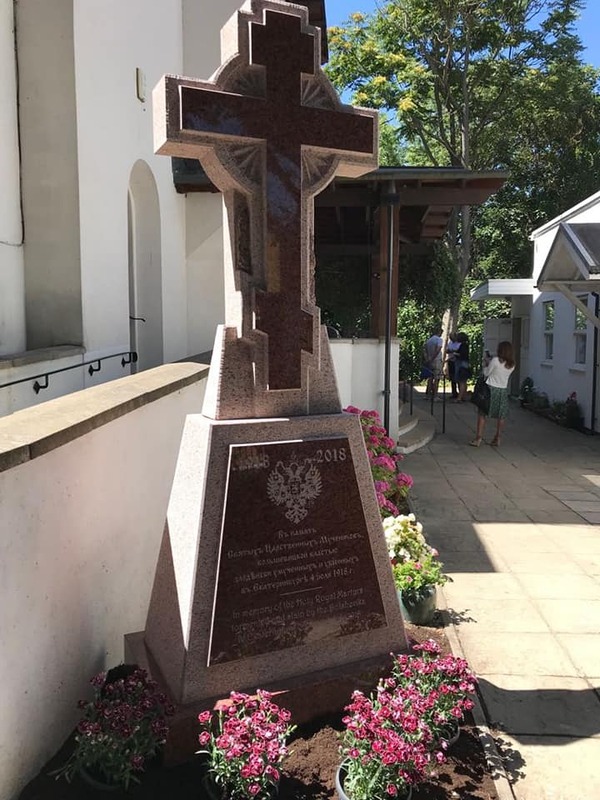 The blessing of the Memorial Cross to the Tsar Martyr Nicholas and his family will be after the Liturgy at about 2.00 p.m. followed by a reception in the Cathedral Grounds. Please pray for all involved in this momentous occasion. Dear in Christ, Father Mark and Brethren! On the occasion of the Patronal Feastday of your parish, please accept my warmest greetings and congratulations with the memory of your Heavenly Protector. into that which brings glory to God and joy to His creation. 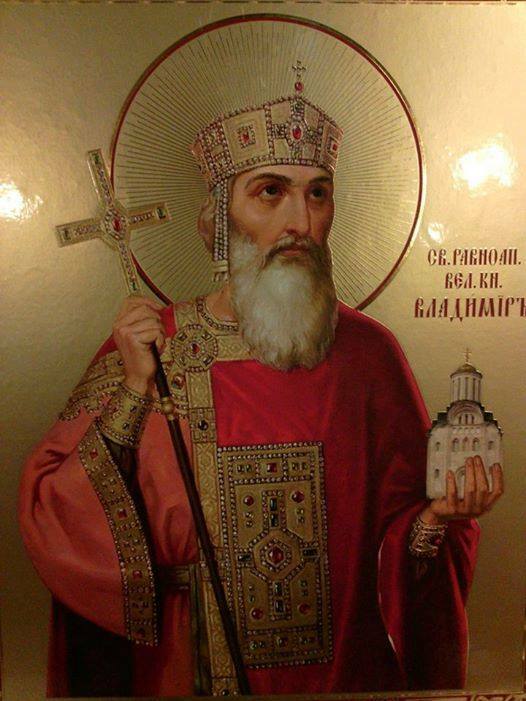 prayers of St Vladimir the wisdom and humility to bring out all that is best, and holy, and good in mankind and in the society around you. May God bless you! 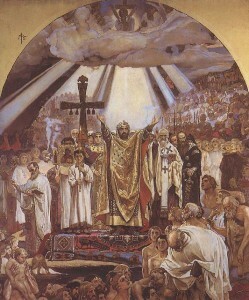 May the prayers of St Vladimir save you! His Grace, Bishop Irenei of Sacramento, Russian Orthodox Church Abroad, Fr Paul Elliott, Chancellor of our Diocese, together with Subdeacon Nectarios Yangson, keeper and guardian of the famous Hawaiian Icon of the Mother of God, where a Moleben (prayer service) and Akathist to the Mother of God was held. Thank you to Father Vitaly Serepinas for our last Liturgy of 2016 and the double Baptism of two brothers. We look forward to scheduling more services in 2017 God willing with a possible move to Sundays. Thank you to Father Patrick Ramsey for serving and our Bristol friends who joined the choir. We welcomed new friends Alistair and also Ekaterina and Sviatislav and their children Edward and Robert who will be baptised soon at Bentham. Thank you to all the Faithful who attended and the continuing support as we build our Parish. 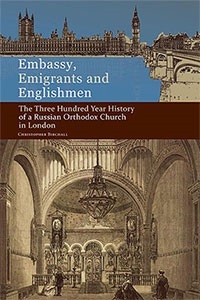 Father Patrick vesting Patriarch at the ROCOR London Cathedral on the visit of Kirill, Patriarch of All Russia, to the UK to celebrate 300 years of Russian Orthodox Church in the British Isles. Father Paul Elliott, Chancellor of the Diocese of Great Britain & Ireland, Russian Church Abroad served at our fifth anniversary of our first Divine Liturgy at Bentham on Saturday 3rd September 2016. Here are some photos from the day, when Fr Elliott presented the parish with a beautiful icon of Our Lord and Saviour Jesus Christ. Our community was founded on 25th July 2011,in the week of the feast day of St Prince Vladimir of Kiev & All Rus (28 July). 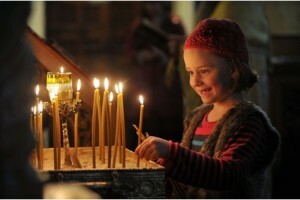 We are part of the Russian Orthodox Church Abroad (also known as the Russian Orthodox Church Outside of Russia – ROCOR). Владимир Святославич. Vladimir Sviatoslavich the Great. Equal with the Apostles.Originally a pagan, Vladimir converted to Christianity in 988 and proceeded to baptise all of Kievan Rus. 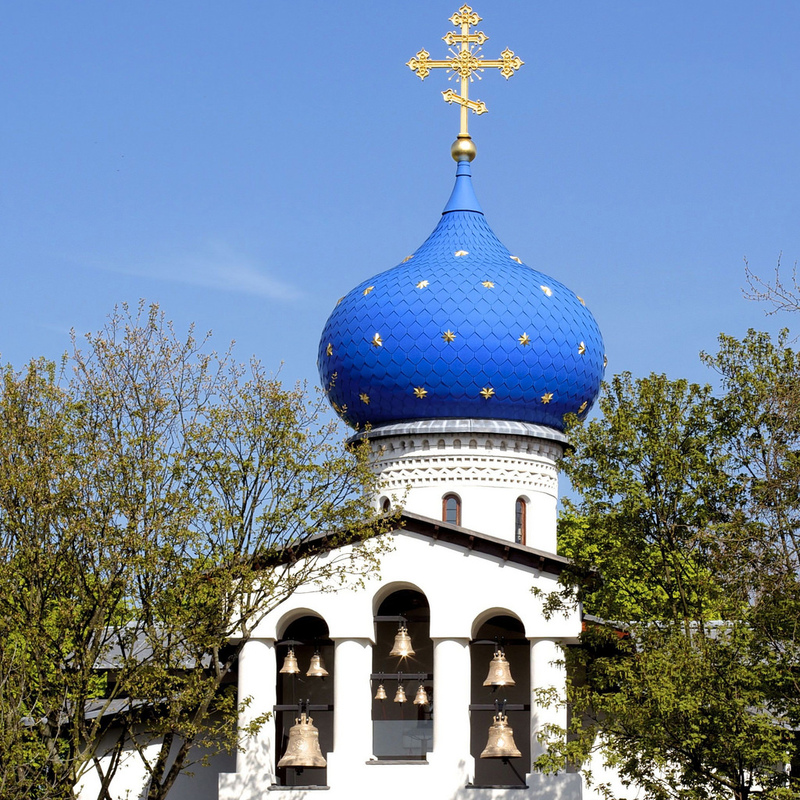 To provide anyone with an interest in the Russian Orthodox faith with a safe and family-friendly community and spiritual home in Gloucestershire and the Cotswolds. One of the younger members of our church, who attends with mum and dad and little sister. 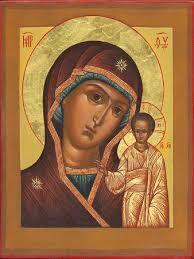 Welcome to the Russian Orthodox Church Abroad Community in Gloucestershire and the Cotswolds . We are a mission parish and open to any Orthodox Christians or simply those who have an interest in the oldest form of Christianity with roots that go back to the Holy Apostles. In our community, which attracts a variety of people of different ages from across the Cotswolds and beyond, you will find Orthodox Christians from a variety of backgrounds. Our new community, which has ambitions to grow and evolve, includes British worshippers and those from Belarus, Bulgaria, Romania, Russia, Serbia, Ukraine and other Slavic countries, some of them newcomers or from second or third generations or from even farther back .